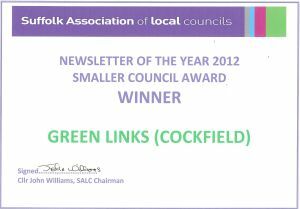 Green Links is the independent Village Magazine of Cockfield and was awarded the accolade Suffolk Village Newsletter of the Year in 2012. I am proud to be its editor. With a circulation of 395 copies Green Links is published monthly and regularly runs to 64 pages. 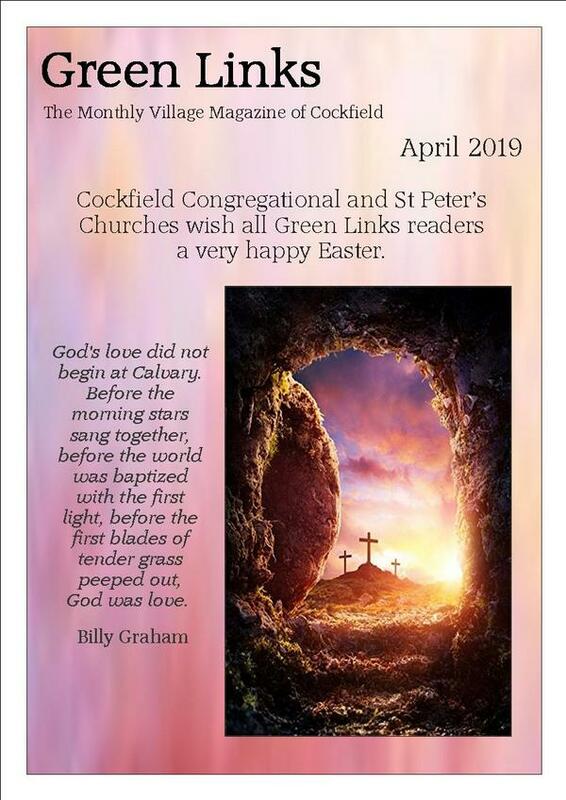 It is distributed to households in Cockfield and neighbouring villages by a team of volunteer helpers and a subscription is just £3.00 annually. Green Links keeps the village in touch with itself and informed of what’s happening as well as advertising local businesses and services. I am always happy to receive any copy so if you are a resident, a soon to be resident or a previous resident I would be happy to hear from you with your thoughts and feelings on the village. My deadline for contributions is the 15th of the month – I hope to hear from you soon.